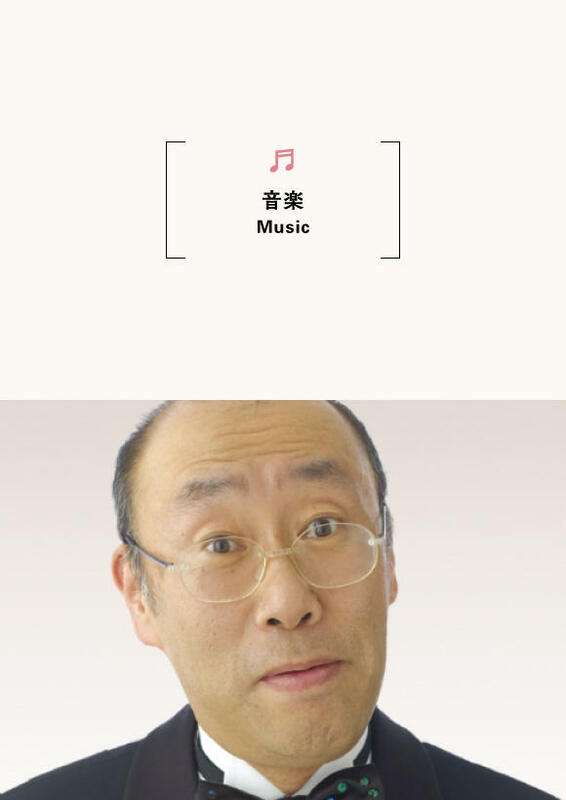 Hiroshi Aoshima's talkative concert "The Adventures of Peer Gynt"
The talkative concert given by Hiroshi Aoshima, who is popular at concerts and on TV programs such as "Sekaiichi Uketai Jugyo" or "Daimei no Nai Ongakusai(Untitled concert)". We invite you to the great adventure of Peer, who travels all over the world. It will be accompagnied by a wonderful melody of Boesendorfer (Grand piano) at Hidaka Culture Gymnasium. 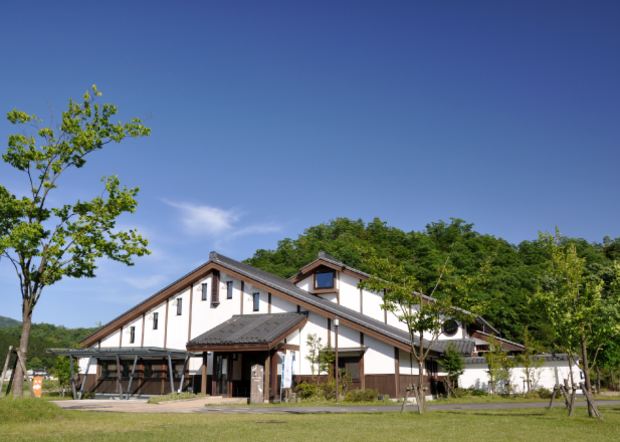 Toyooka Art Season is an Art Festival to discover-or rediscover- the charms of Toyooka through its unique programs, nature, people and scenery in Toyooka, which has been held since 2016. Performances, concerts, exhibitions and so on, will be held at various places in the city. Look forward to discovering art in Toyooka. 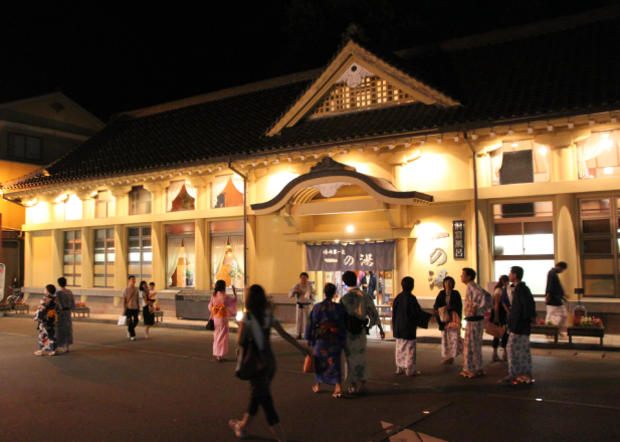 Kinosaki has seven public hot spring bathhouses, each with its own style and charm. Bathe in each one to find your favorite; whether it’s bathing in the outdoors or in a cave, you are sure to find one that appeals to you. 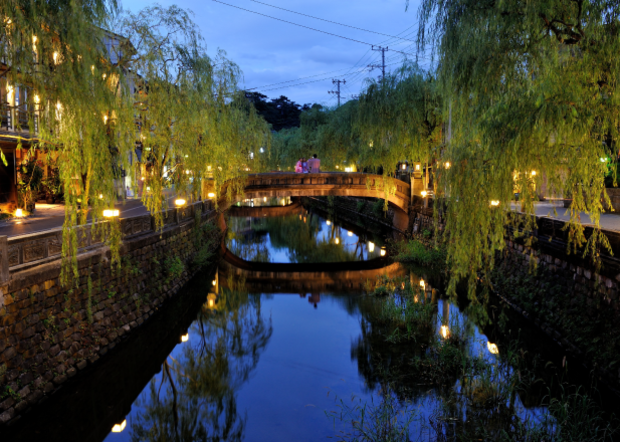 Kinosaki Onsen, the surrounding mountains, sea, river, traditional and cultural Japanese Inns, a central willow lined river, temple and shrine all offer beautiful views and peaceful sounds, feels as if you are relaxing in your own home / private getaway. 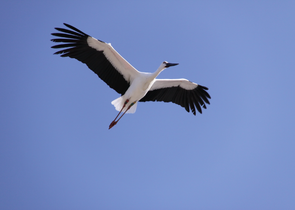 Kinosaki is a very safe destination, the perfect luxury trip for families or the solo traveler. 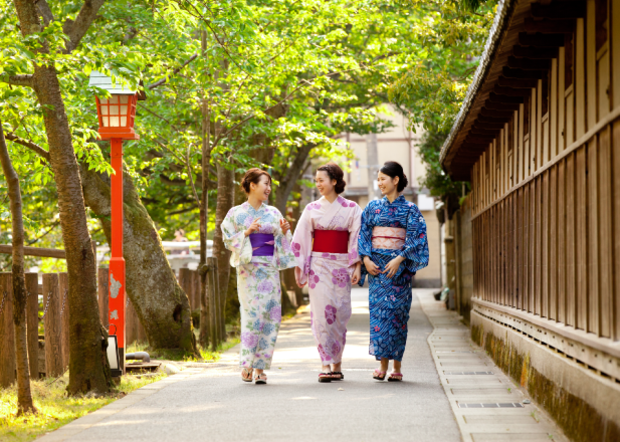 Walk the streets in your yukata, stop by the local merchants selling various specialties, soak in the foot baths while sipping on a local brew. 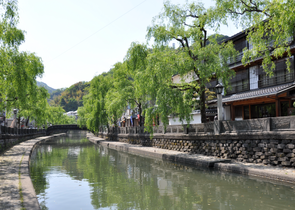 Kinosaki is a town renowned for its onsen and as the setting for the masterpiece, At Cape Kinosaki. 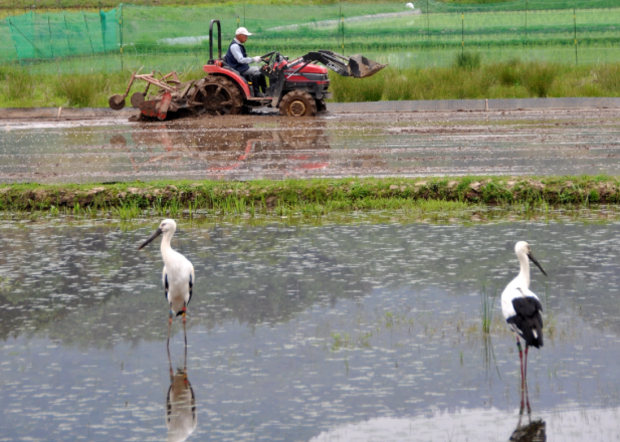 The legendary author, Naoya Shiga, as well as authors of the Shirakabaha, and many more, visited the springs of Kinosaki. There, they experienced the 7 hot springs, lively hot spring district full of delicacies like crab, and the beauty of the surrounding nature, such as Maruyama River and Genbudō, which is said to have formed over 160,000 years ago due to volcanic activity. Now, artists have taken the place of writers who came to relax their bodies and minds and to arouse their imaginations. 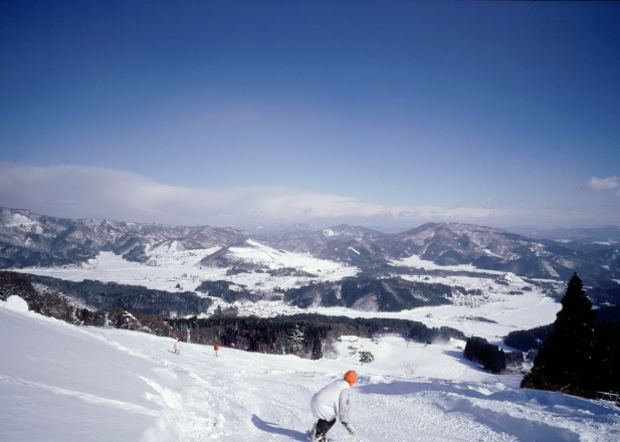 Ski Resort - Kannabe ski resort is made up of a variety of pistes, including three designed for beginners and intermediate skiiers and snowboarders. 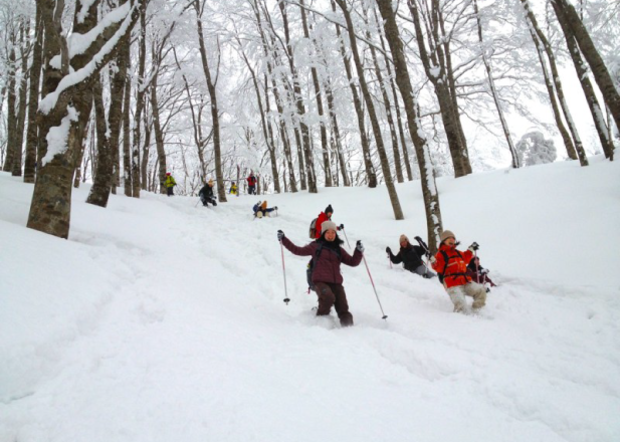 Snow Shoeing - Enjoy snow shoeing through fresh, fluffy snow. Equipment and water proof clothing are available to rent (for a fee). First timers are more than welcome. Hiking - Take a hike in the beautiful surroundings of Kannabe Highlands, where you can see waterfalls and craters among other natural sights. 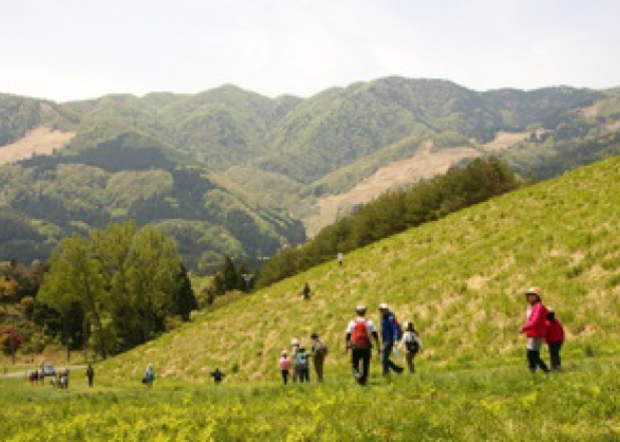 Located in close vicinity to Kinosaki are the Kannabe Highlands. From spring to autumn visitors can enjoy outdoor activities such as hiking and mountain climbing. In the winter with the coming of the snow, you can also enjoy skiing, snowboarding and snowshoeing among other activities. With its diverse collection of activities, Kannabe can be enjoyed all year round. Located only 2.5 hours from Kyoto, it is the perfect side trip destination.